[SEMINAR] Royal BAM Group: Building the Present, Creating the Future. 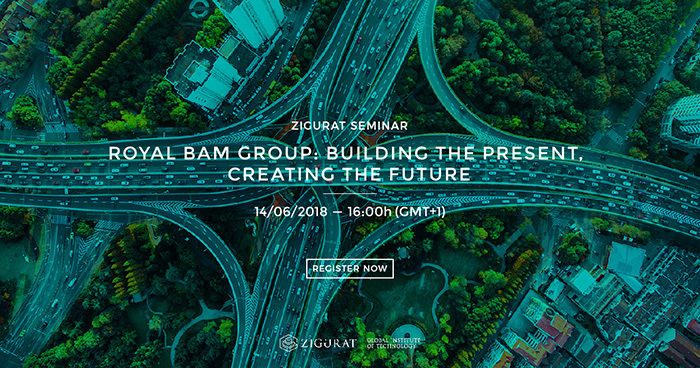 Menno de Jonge, Director of Digital Construction at the Royal BAM Group in the Netherlands, will be presenting a Seminar on Royal BAM Group: Building the Present, Creating the Future. He will present a short introduction of the Royal BAM Group and focus on research from global consultancy firms showing how the world of construction is changing the necessity of a digital transformation. He will discuss the strategy of the Royal BAM Group and their role in this transformation with the Digital Construction Program he runs and the startup b. Home and present real-life examples such as: the V&A Museum of Design in Dundee, Scotland and the Museum of the Future in Dubai.